Last Days of Old Earth receives its first major update, adding the deck building feature, a new game mode, new cards, and more. Speaking of decks – why not have a look at the best Hearthstone decks. This update comes fresh off the back of Last Days of Old Earth entering Steam Early Access. The main new addition is deck building, which will let you… well, build decks, and customise your armies around your favourite heroes and units. 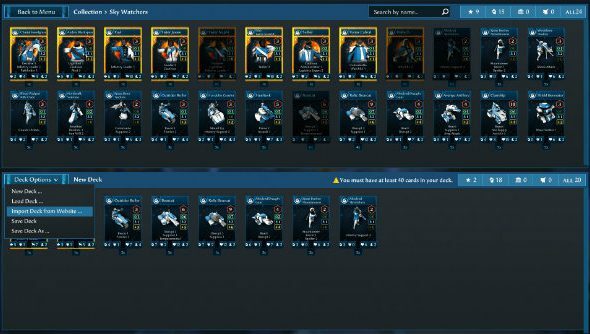 It’s promised to be a flexible system that will allow you to store your favourite decks and even import them from the Last Days of Old Earth website. Decks will be deployable in single-player and multiplayer. There are a bunch of other tweaks and changes, too. Highlights among them are a new Sudden Death game mode, two new cards and the option to tab through units that haven’t exhausted their movement. • Two new cards! Clanship for Skywatchers and VN Walker for Automata! The Deck Building update is just the first of four major updates following the Early Access Steam launch. Last Days of Old Earth is available on Steam now, in Early Access, for £18.99.